The spacious rooms at the new Essence Apartment & Suites is targeted at the medical tourism market. 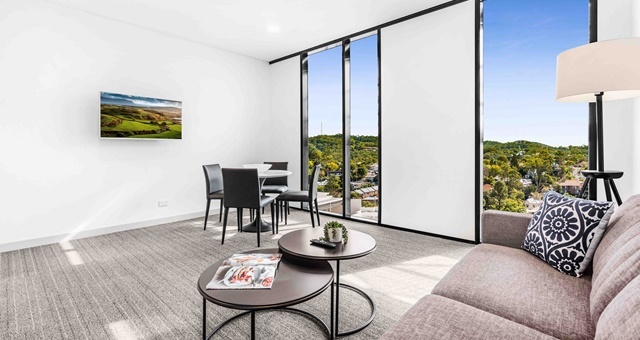 A new $65 million commercial accommodation option in inner-city Brisbane has today opened its doors above the Westside Private Hospital in Taringa, to be managed by UniLodge Australia. 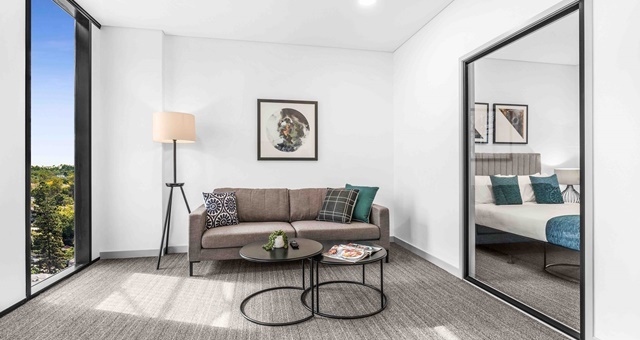 The new development marks the second combined hotel/hospital offering from Essence Apartment and Suites – parent firm of UniLodge Australia – following the opening in 2011 of the company’s flagship hotel next door to Prince Charles Hospital in Chermside. Consisting of 63 apartments in studio, one and two-bedroom configuration, the new accommodation is being aimed at both leisure and business travellers as well as those specifically visiting for non-urgent medical attention. Each apartment is fitted with a kitchenette or full kitchen with modern appliances, Smart TV with Foxtel and wi-fi connection. Where space permits, some apartments have also been furnished with sofa lounges. Guests can also take advantage of dedicated meeting and conference facilities as well as separate car parking which doesn’t interfere with regular hospital requirements. The hospital’s childcare centre is also open for guests to utilise. The new combined hotel/hospital apartments come in studio, one and two-bedroom layouts. Across from the reception area will be Amaretto Café and Bar, which will serve breakfast, lunch and dinner for hotel guests in the form of modern Australian and Italian fare. The new hotel is located close to Indooroopilly Shopping Centre, Taringa train station and the University of Queensland. UniLodge CEO Tomas Johnsson said the new opening at Westside Private Hospital helps to further consolidate the company’s inroads into the medical tourism market.